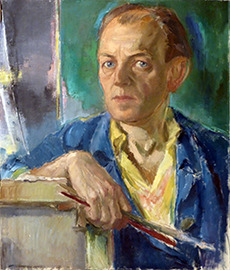 Hans Liska (1907-83) was an Austrian-born painter and artist whose oeuvre spanned themes from WW II to ads for mercedes to flamenco to cities & landscapes. Hans Liska obtained worldwide recognition for his pencil sketches, published by Ullstein Verlag for many years. His sketch book on the Second World War remains to be a coveted collector’s item. He worked as an illustrator for many national and international companies such as DEGUSSA, Ford, Höchst, Kaufhof, Märklin, Mercedes, Quelle and others. He helped shaping the image of parfume brand 4711 significantly in the post war era. 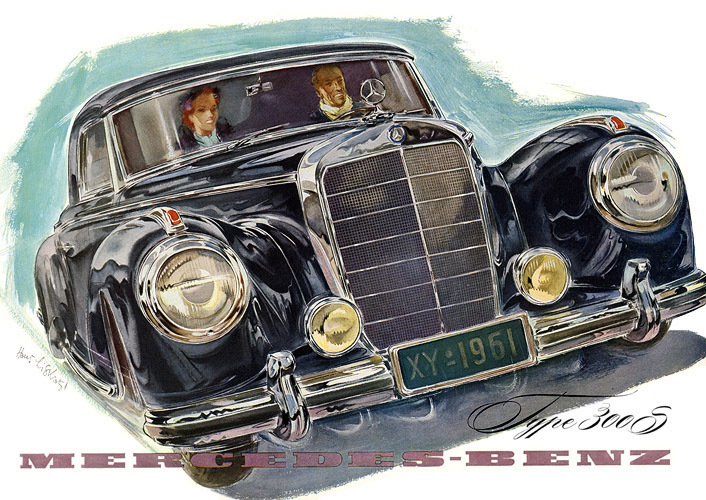 In the 1950s he was a very influential illustrator for Daimler-Benz, travelling and drawing worldwide.